Come and learn, The Art of Dowsing used in development of one's intuition along with understanding electromagnetic fields in and around the body. Each person who attends will receive a high quality, handcrafted precision pendulum, which is included within the course fee of $38.00. Course Fee will be taken at the door - doors open at 9:30am. Intuitive Energy Medicine Precision Pendulums can be used for example: selecting vitamins, making healthier food choices for your New Years Resolution. 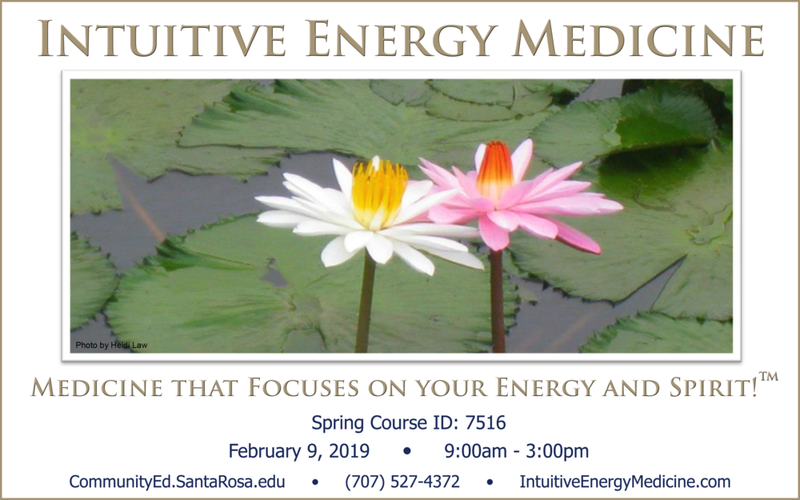 This one-day course called Intuitive Energy Medicine will focus on the integrative approach to medicine: Energy Based Therapy, Mind-Body Connection and Intuition Medicine. What was once considered metaphysical, beyond science or divine intervention is now being substantiated through scientific advancement and complexity; the theory that we are building on what we already know and continually improving it! Participant’s will learned to quantify the body's ability to self-heal (electric magnetic fields in/around the body), reduce stress and transform behaviors in order to minimize chronic conditions. In addition, we will discuss various research studies results; scientific and medical effecting new healthcare mandates, who setting them, what still needs to be done, and how this change is allowing for the Healing Arts Professions to flourish and receive validity, which is bring conventional and complementary medicine together to improve chronic conditions; such as cardiovascular disease, cancer, diabetes, chronic pain, auto immune disorders to improve overall health and wellness. Recommended for all community members, professionals in the Healing Arts or within the Conventional Approaches to Medicine. We will also be doing some meditations so, dress comfortably. To signed up for the one-day course: click on image above! Instructor: Danille M. Font, M.F.A., M.I.M., C.I.H.C.